Founded in 2003, Iron Plane creates Magento e-commerce ecosystems that help clients accomplish their digital marketing goals. 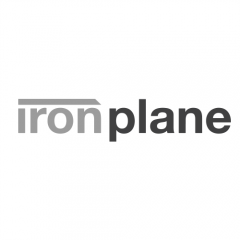 Iron Plane’s websites leverage the tools that your team can quickly learn to use to grow your online business. As a certified partner of SharpSpring, ClipVilla, Evo Payments, Sweet Tooth and Amazon Web Services, Iron Plane offers a complete suite of services for its clients including: marketing/email automation, payment processing, Magento-optimized hosting, and online merchandising tools (product videos and loyalty programs).